Fall in love all over again at Diamond Hotel Philippines with My Valentine, an array of Valentine offers designed to set hearts aflutter. 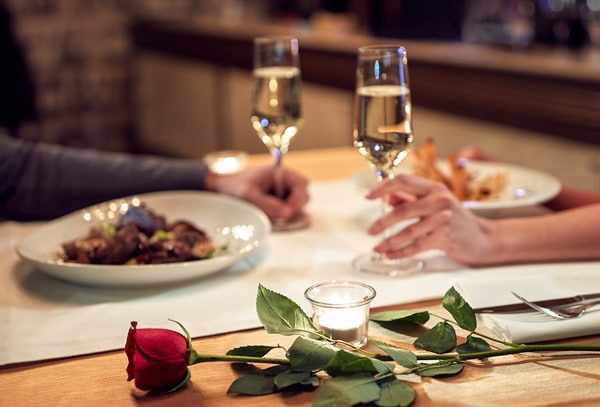 Express your love in a more meaningful way with a romantic urban getaway, intimate dinners, and sweet gift ideas that’ll make your celebration of love exceptionally memorable for you and your special someone. Corniche: Make every moment special at Corniche. Treat your sweetheart to a grand, romantic gesture with a Valentines buffet she will never forget for only Php3,380 nett per person. Plus, get a chance to win an overnight stay for two with breakfast buffet for every Php5,000 spent. On February 14 and 15, be entertained by a pianist during lunch and a quartet during dinner. Yurakuen: Let her know that she means the world to you by taking her to a unique and authentic Japanese-style date. Yurakuen offers a lunch and dinner set menu for couples with a glass of Piper Heidsick at Php2,880 nett per person. Complementing the dinner is musical entertainment by a duo. Lobby Lounge: Get to know the person that brings joy to your heart at the Lobby Lounge with a 4-course set menu and a glass of Cava, perfect for building the chance for meaningful conversation. Reserve a table for two for this intimate date at Php3,300 nett with a complimentary slice cake. Set the mood as a soothing saxophone plays in the background. Poolside: Relish al fresco dining by the Poolside under a beautiful night sky. Delight in a 5-course dinner as you gaze at the stars and reminisce how your love story began. The set menu is priced at Php2,800 nett per person with musical accompaniment by a soulful duo. Bar 27: Cap off the evening with a glass or two of your favorite cocktail drink at Bar 27. 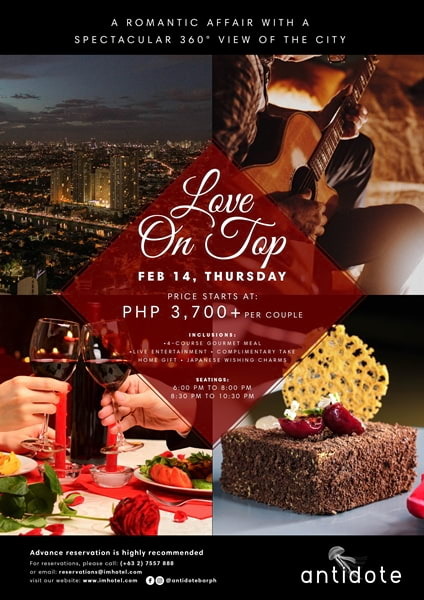 Capture her heart with a spellbinding view of the cityscape at night and a 4-course set menu that comes with a glass of red or wine – all for Php3,500 nett for two persons. Let our live band entertainment set the evening’s vibe as you dine. All ladies dining on Valentine's day will receive a special memento. Adding romance in the air is a roving violinist to serenade couples on February 14. Dining promos are available from February 13 to 15, 2019. Live entertainment are available on February 14 and 15 only. For inquiries and reservations, call Restaurant Reservations at +632 814 2580 or email rric.slm@Shangri-la.com. Valentine’s Day is clichéd but there’s no better way to someone’s heart than through food. Makati Diamond Residences’ Alfred has prepared a special dinner buffet menu that includes a Fondue and Gravlax Station. There’s also Roasted Angus Ribeye, Lamb Leg with Rosemary Au Jus, Prawn with Herb de Provence, Pinakbet Rice with Crispy Bagnet Strips and other appetizers. And for dessert, there is Strawberry Shortcake, Rosewater Macarons, and Earl Grey Raspberry. 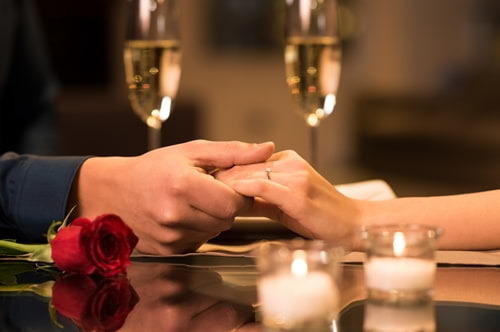 The Valentine’s Day Buffet is on February 14, 2019, from 6:00 pm to 10:00 pm at ₱2,000 net per person. Reserve your table by calling (02) 317 0999 local 1114 or emailing dine@makatidiamond.com. 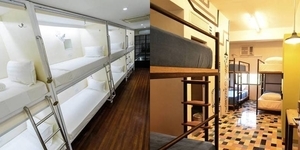 Visit https://www.makatidiamond.com/special-offers/ for other hotel promos. This Valentine season, executive chef Keita Kamimoto has prepared a special Valentine set menu that couples would surely love. 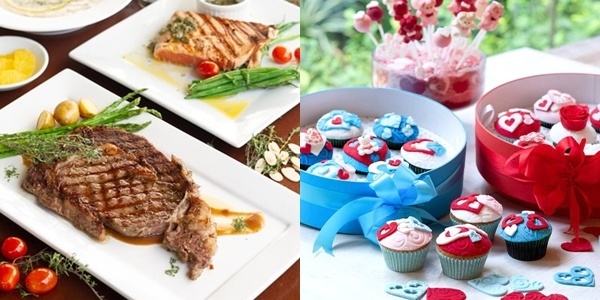 The special Valentine set menu is offered at the love-filled price of P1,960 (for two), inclusive of VAT and service charge. The set meal comes with a complimentary glass of red or white wine or beer for each of the dining couple. For reservation and inquiries, simply dial the Kitsho direct line no. (02) 994-36-23 or Ms. Malou Manzano through telephone no. (02) 877-63-79. 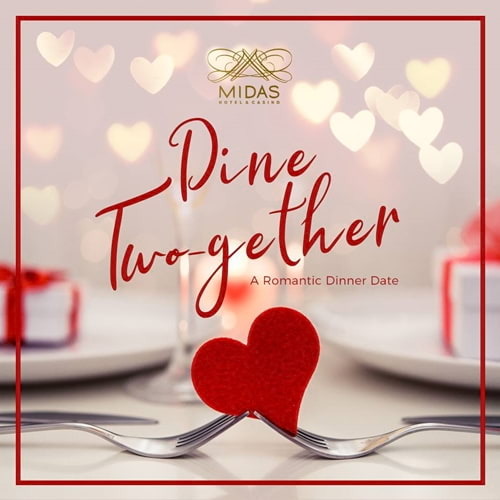 Treat your special someone this Valentine’s Day to a romantic evening at Midas Hotel & Casino! Choose from our various restaurant outlets for that perfect night with your date. Midas Café: Indulge your senses this Valentine’s Day with food and music at Midas Café. For only Php1,800 nett per person, savor our delectable buffet spread flavors that keep guests coming back. Treat yourselves with a glass of house wine and a Valentine’s Cake available for this special occasion. 2702 Lobby Lounge: Romantic serenades and delightful food await you and your date at 2702 Lobby Lounge. For only Php1,500 nett per person, you’re in for a sweet combination of 4-course menu, a glass of house wine and a Valentine’s Cake. Limited seats are available for 8 pairs only. Yanagi Restaurant: Reserve a table for two in Yanagi Japanese Restaurant for a quiet night in with your date. Dig in our rich-tasting Japanese buffet dinner spread and a glass of house wine, for only Php1,800 nett per person. Cap off the night with a Valentine’s Cake for a sweet ending. 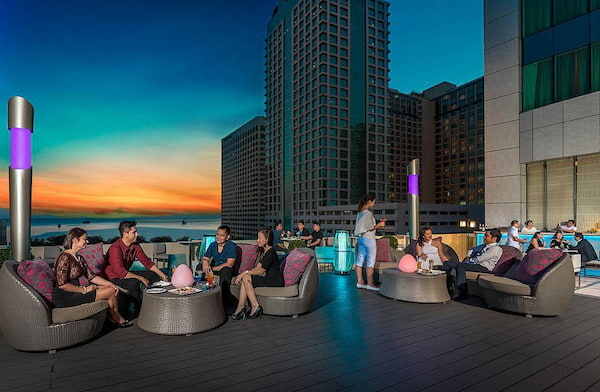 Sunset Lounge: The Sunset Lounge on the 9th floor will set you in the relaxing, romantic mood as it offers a view of the city. Set your Valentine’s Day dinner here for only Php1,700 nett per person and relish in a 6-course menu, a glass of house wine, and a Valentine’s Cake. Limited seats are available for 10 pairs only. Exclusive on select dates including Valentine's Day, Cravings unveils a special four-course dinner for two featuring the best of mains, steak and salmon. Finestra Italian Steakhouse offers Fine de Claire N.5, piccantino, lemon, micro coriander; foie gras and confit duck terrine, green apple, shallot, raspberry vinaigrette; risotto, prawns, zucchini, saffron, gold leave; sous vide cooked wagyu ox cheek with dauphinoise potato, vanilla carrot puree and spinach. Satisfy your sweet cravings with the white and pink chocolate sphere plated on raspberry textures, tonka bean crunch, lemon curd, candied violets, and mint soil. This set menu is priced at Php4,888+* per person. Yakumi offers a set-menu at Php3,488+* per person. The menu consists of heart-shaped toro tartare,sea urchin and black tobiko, micro herbs; hand crafted sushi , braised prawn, sweet and sour fish, sesame tofu and uni, grilled duck, Conger eel and burdock root; sweet prawn, tuna, salmon, yellowtail sashimi with freshly grate wasabi; soft raw chawanmushi and marinated soya grilled salmon with edamame puree; grilled US beef rib eye with hoba leaf and miso sauce, or crab and shimeji mushroom mix with rice and red miso soup, plus a unique dessert to top your meal. Red Lantern highlights steamed shrimp dumpling with black truffle, honey roasted chicken roll and deep-fried prawn with wasabi mayonnaise for starters; double-boiled chicken soup with conch and bamboo pith; crispy lobster with oatmeal; stir-fried chicken and prawn with seasonal vegetables; Cantonese braised beef rib “Wong Kok Style”; and roasted duck on glutinous rice with Chinese sausages all priced at Php3,888+* per person. Waterside provides seconds with “Jamon! Jamon!”, a night of Spanish gastronomy featuring delightful assorted tapas, Jamon Iberico, and a wine flight of 3. Aside from taste, the Latin-inspired restaurant brings in Hugo Moronval, Brand Ambassador for wine house Codorniu to give guests a fun and informative evening. This event is priced at Php2,500+* per person. For more information please call 888 8888 or visit http://solaireresort.com. For one night only, romance your significant other under the stars with a lavish 4-course dinner prepared with love by our executive chef at the country’s only jellyfish rooftop bar with a 360-degree unobstructed view of the city. This romantic affair is accompanied by live acoustic music to make for a truly spectacular experience. This year’s menu features a molecular twist, with our Executive Chef whipping up lobster, fish, and beef dishes with a theatrical finish. Make a special wish with your Valentine with our Japanese wishing charms to seal your love. This dining experience also includes a take-home gift for your significant other. Avail this exquisite set dinner at only P4,070 nett per couple (or P2,035 nett each). Opt for the wine pairing for an additional P990 nett per person only to put an extra twinkle in his (or her) eye. The dinner consists of 2 seatings which you can pick from. You may select the first seating from 6PM to 8PM or the second seating from 830PM to 1030PM. Advanced reservations are highly recommended and can be made by emailing reservations@imhotel.com, or calling +632 7557 888. Treat your loved one to an unforgettable Valentine’s Day, nine floors above the city. Spend a romantic evening over a curated 5-course dinner menu while being enveloped by the glittering lights from the surrounding city skyline. Ladies will receive a special set of products from L’Occitane. The 5-course dinner is priced at PHP 5,910 per person. To make the occasion more celebratory, a His & Her wine pairing upgrade is available for PHP 1,350 per person. 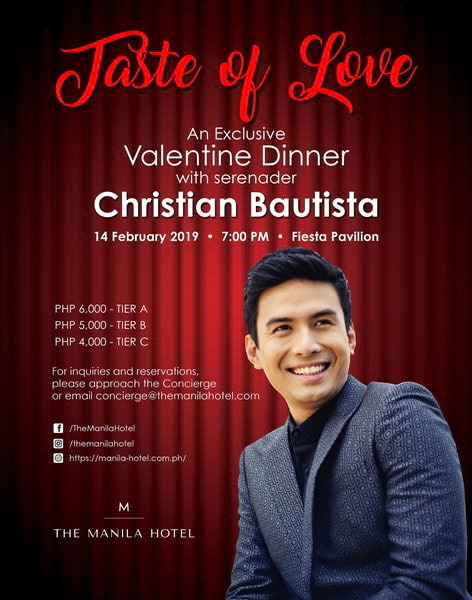 On the most romantic night of the year, The Manila Hotel has crafted the perfect evening to celebrate love, romance and passion in a Taste of Love, an exclusive Valentine Dinner with serenades by Asia’s most romantic balladeer, Christian Bautista. The event is slated for Valentine’s Day, 14 February 2019, 7:00 p.m. at the Fiesta Pavilion. 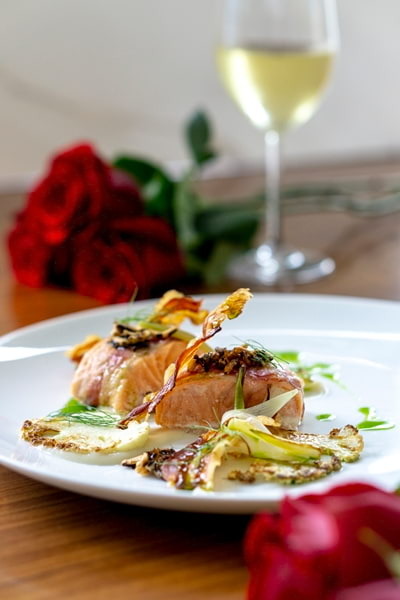 Executive chef Walter Konrad demonstrates his considerable skill in creating an exquisite, and unique dining experience, through a menu that pays homage to the great romances of history. Every dish is a story told through ingredients, technique and artistry. Even as the Chef romances their palates, our guests will be serenaded by Asia’s most romantic balladeer, Christian Bautista. 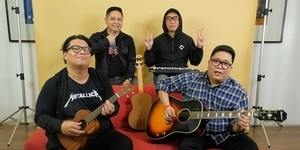 His performance will include five covers, including Beautiful Girl, Ligaya by the Eraserheads, and such romantic classics as La Vie en Rose, That’s Amore, Because of You, and My Cherie Amour. Waiting for the one? You might just find love at our Friendzone Valentine's Party! Come with friends or mingle with other singleton and enjoy an outdoor movie and unlimited pasta and wings at Sunset Lounge & Bar. 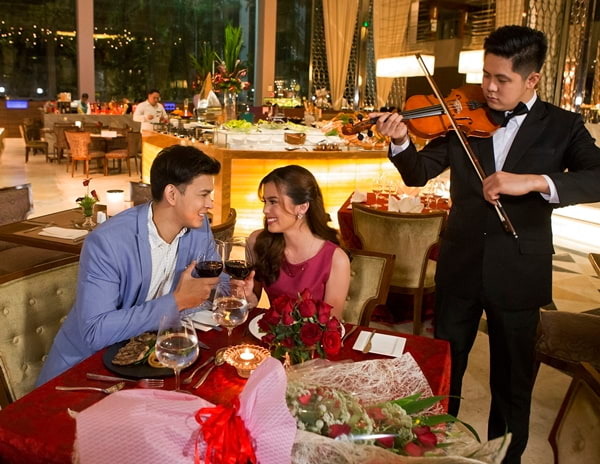 Celebrate Bonne Saint-Valentin with a romantic evening in the City of Love as we bring the glamour and light of Paris to Pacific Lounge featuring an exquisite 5-course set dinner, a glass of our premium Wine of the Month amidst a panoramic view of the Manila skyline, and live acoustic performer to serenade you and your beau. The 5-course set dinner on February 14 starts at 7PM, and is priced at P2400 per person. Why go with just plain red when you can celebrate the spectrum of Love? For February, we are taking Valentine’s Day in its most colorful form in support of the freedom to love who you love. Dine Under the Stars: Make your Valentine’s celebration even better than just “I love you” with a romantic dinner with a view that’s perfect for two. 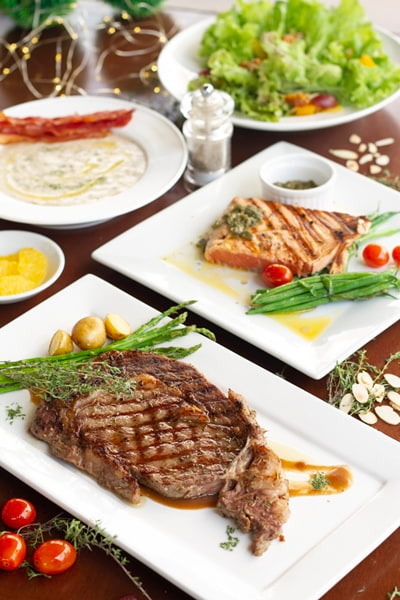 This five-course dinner for two is priced at P5175 nett, and is available on February 14. Dine in Decadence - Valentine’s Buffet at Marriott Cafe: Celebrate all kinds of love this Valentine’s Day with delectable cuisines, a hearty spread and colorful treats in the rainbow room that’s almost too pretty to eat! Their lunch buffet on February 14 is priced at P2300, while their dinner buffet from February 14 to 16 is priced at P2950. 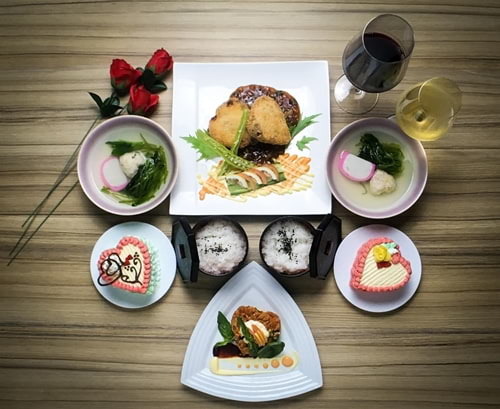 Oriental Valentine's Feast at Man Ho: From the flavorful abalone soup in coconut broth to the hearty pan-fried Australian beef in sea salt, this special menu will definitely leave a big impression on your palate and to your love. The five-course dinner for two is priced at P5800 on February 13 (Dinner) and February 14 (Lunch and Dinner). For the Love of Tea at Greatroom: Reward yourself a classic vintage experience you will never forget. This package gives you a serving of hot tea while we please your senses with our three-tiered stand of treats, including savories and flavorful scones. The Afternoon High Tea is available from February 1 to 28, from 2PM to 5PM, and priced at P660 nett. Colorful Confections at Marriott Cafe Bakery: These rainbow-hued cakes are every bit but delicious and make the sweetest surprise for your special ones! Price starts at P250. For information and reservations, please call New World Makati Hotel at +63 811 6888 ext. 3700. Stay updated and follow New World Makati Hotel’s social media accounts, on Facebook at facebook.com/NewWorldMakatiHotel and on Instagram at @newworldmakati. The perfect Valentine’s Day awaits at The Peninsula Manila where couples will be spoiled with an array of romantic dining, getaways, and gift ideas to choose from. The Lobby: It is said that the closer one’s proximity to fire, the higher the chances of stoking the flames of love. So it follows that spoiling your date with a Three-course Dinner under The Lobby’s iconic “Sunburst” sculpture is the perfect recipe for an all-consuming conflagration. P3,800 with a flute of Champagne or P3,200 per adult (inclusive of taxes) for a three-course dinner menu. Multi-awarded stage and recording star Bituin Escalante will perform live at The Lobby at 8:00 pm. Old Manila: All five senses will delight in Old Manila Chef de Cuisine Allan Briones’ sensory Four-course Valentine’s Dinner that will have taste buds tingling with delight on February 14. Paired with a glass of Champagne at P5,200 or simply by itself at P4,500 (inclusive of taxes), this is one Valentine’s dinner that is not to be missed. The Peninsula Strings will play love songs from the Great Filipino and American Songbook at 8:00 pm. Escolta: One need look no further than Chef Jobellyn Barbasa’s buffet specials in Escolta to find the quickest and most delicious way to your lover’s heart. She suggests celebrating Valentine’s Day with the most sensual Seafood Dinner Buffet priced at P3,200, for adults, and P1,900, for children (inclusive of taxes). If you want to spoil your date a wee bit more, ply them with Champagne and fine wine. They’re sure to appreciate your extravagant declaration of love (no matter the expense). Spices: Spices will also be sharing the love on February 14 with the exotic flavors of India, Thailand, Malaysia, Indonesia, and Vietnam where lovers can choose from an à la carte menu selection for a minimum consumable of P1,200 (exclusive of taxes). Step out of the box and step up your game this Valentine’s Day! The newly opened Sheraton Manila Hotel turns its resort-like outdoor pool into a romantic oasis exclusively for couples. For only Php Php 6,000 nett, enjoy a moonlit 6-course dinner for two persons by the pool. As a welcome, Moet et Chandon will give a special toast of its Rose Imperial champagne to each couple. Every dish are carefully prepared to tell its own love story through complementing flavors. 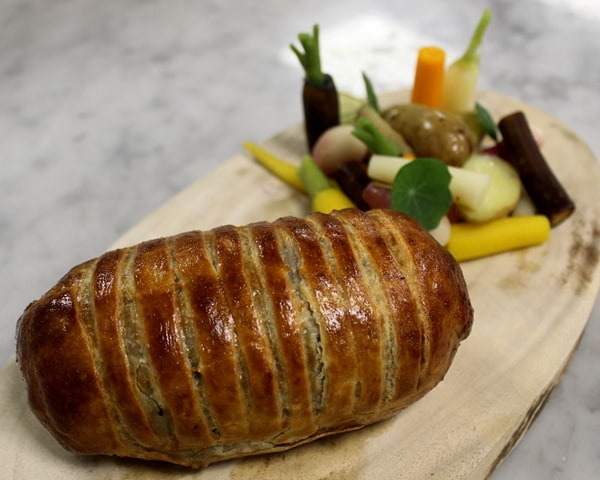 From the appetizer to the beef wellington entrée and down to the dessert, each bears aphrodisiac elements and local produce. Hearts will further melt over the chocolate praline installation that is 100% edible and special gift box to bring home. Love will definitely fill the air with a live serenade from a string ensemble. So, why dine inside a restaurant when you can have a romantic fare under the stars? If you really love someone to the moon and back, then this sweet surprise is totally worth it! Call (02) 902 1800 quickly to reserve the best table by the pool at Sheraton Manila. High Street Cafe: Hearty Spreads and Perfect Pairings Guests are invited to partake and indulge on special flavors with the ones they love in the hotel’s dining destinations. At High Street Cafe, a dinner feast awaits in the restaurant’s nine culinary neighborhoods at Php 3,500 nett, inclusive of an alcoholic beverage package. Indulge in a cocktail buffet dinner experience at High Street Lounge priced at Php 3,500 nett per person, featuring artisanal cheeses, premium cold cuts, a carving station, a dessert spread and freeflow of red, white, sparkling wine, beer, soda, juice, coffee and tea. Make it a point for some afternoon delights with a special Valentine’s tea set at Php 1,400 nett, perfect to wile the day away, beginning February 9 from 2 p.m. to 6 p.m. daily. Raging Bull Chophouse and Bar: A match is made in grit and grace at Raging Bull Chophouse & Bar with an intimate, four-course dinner priced at Php 5,200 nett that includes seasonal specialties with a glass of champagne to pair. Samba: Taste the flavors of Peru at Samba with a four-course dinner priced at Php 3,200 nett, which includes flavorful fare and a glass of bubbly. Dine for two with a stunning city view in one of the restaurant’s poolside cabanas at Php 18,000 nett, inclusive of welcome tiki cocktails five-course dinner, a personal butler and a bottle of champagne. Whatever you’ll choose, you’ll taste the love at the Bistro Restaurants (Village Tavern, TGIFridays, Red Lobster, Buffalo Wild Wings, and more). 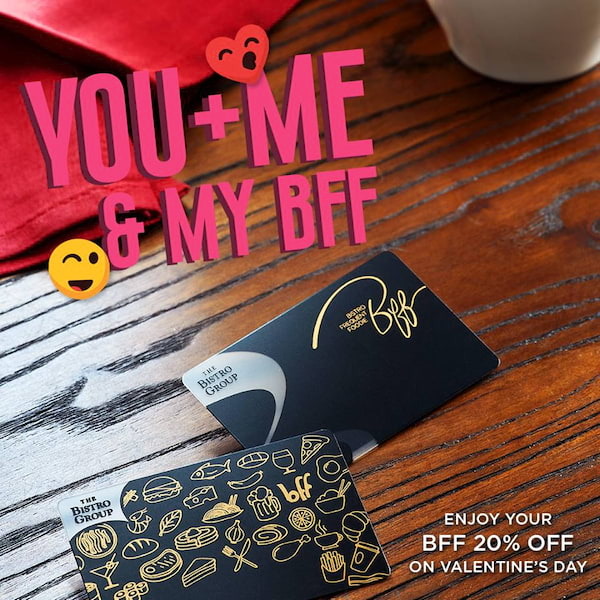 Plus, surprise Valentine treats are yours for the taking too. 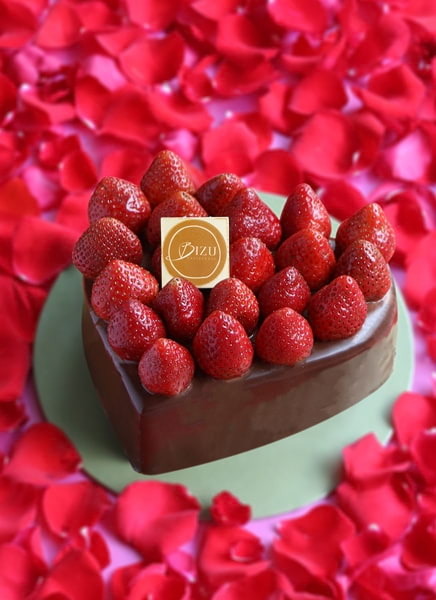 City of Dreams Manila celebrates the season of love and passion with romantic offerings that include epicurean experiences at signature restaurants The Tasting Room, Crystal Dragon, and Nobu Manila; sweet treats from Chocol8 and Café Society, and more. 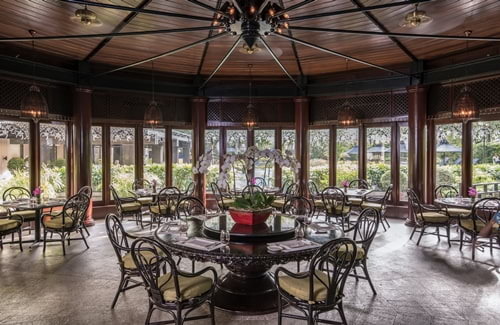 Crystal Dragon: Crystal Dragon, known for its award-winning Cantonese and regional Chinese specialties, is featuring a Romantic Dinner Set Menu for a dining experience that captures the heart and palate from February 13 to 15. The five-course Valentine’s set menu at Php 3, 880++ per person consists of a Romantic Heart-shaped Stuffed Breaded Prawns Cake on Mixed Salad with Swan Dumpling filled with Black Pepper Duck Meat; Braised Sea Treasures and Scallop Dumpling served with Black Truffle in Lobster Bisque; Braised Pork Ribs with Red Wine Vinegar and Wolfberry Reduction; Wok-fried Egg Noodles with Seafood, Sliced Abalone and Vegetable Sauce; Earl Grey Vanuari Milk Chocolate Crème Cake with Rose Water Strawberry Gel. Complimentary Jasmine Tea is served for the set menu. 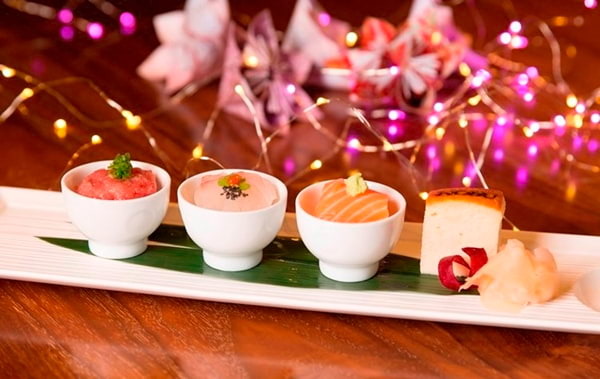 Nobu Manila: Ideal for a standout Valentine’s dinner that explores Japanese-Peruvian flavors, Nobu presents a five-course Valentine’s Weekend Omakase with Sake Cocktail Pairing from February 14 to 16 at Php 10,000 nett for two persons or Php 5,000 nett for one (optional). Chocol8: From February 1 to 15, Chocol8 showcases signature and handmade Chocol8 brown bear chocolate and pink bear chocolate at Php 2,300 nett each; and Chocol8 dragées box at Php 1,250 nett among others. 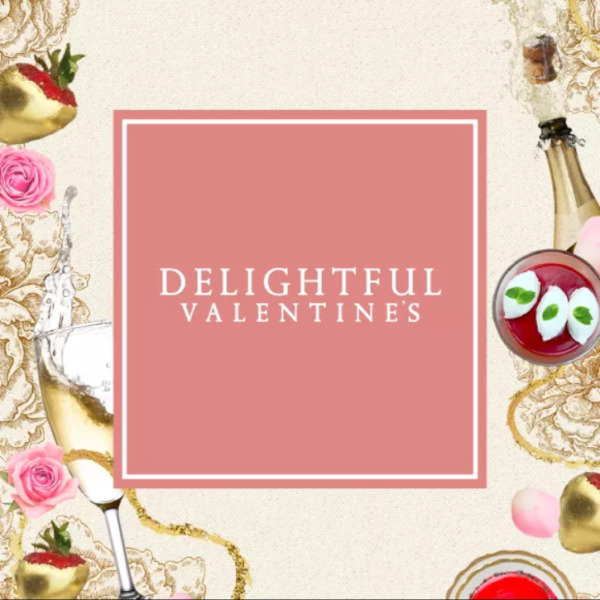 Guests can also express their affection for those close to their hearts with different kinds of Valentine’s hampers that include an assortment of chocolates that come with other treats to choose from: a snuggly teddy bear or a bottle of Martini Rose starting at Php 2, 000nett. Cafe Society: Café Society captivates those with a sweet tooth, through its Valentine’s treats from February 11 to 15 that include Valentine Cookies (Php 340nett); St. Valentine’s Cake (Php 420nett); Valentine Heart Danish Set (Php 240); and Chocolate Lemon Heart Cake (Php 1,600nett) among other sweet choices. These delectable creations can be paired with a selection of floral arrangements: a single stemmed rose at Php 500nett; a bouquet of roses starting at Php 1,500nett; a spring bouquet at Php 2,000nett; or a grand flower arrangement in a basket at Php 2, 300nett. 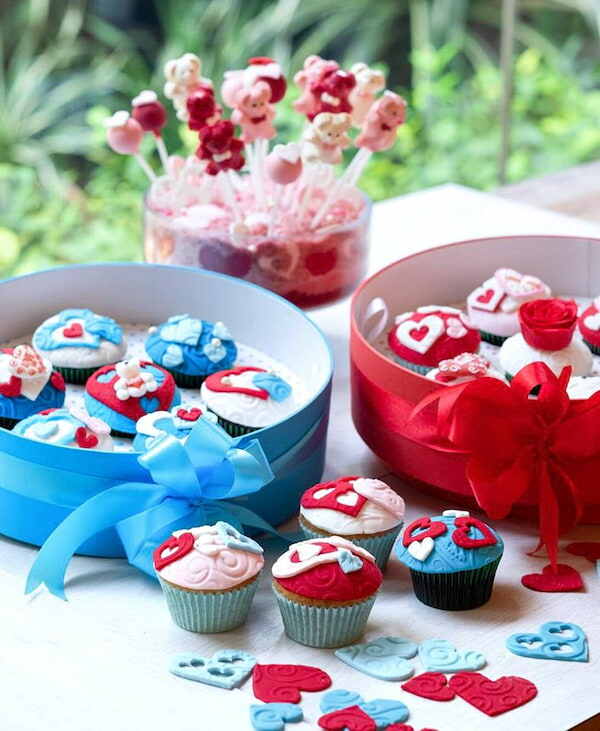 Café Society also features Valentine’s gift sets with a different selection of cakes and other sweet treats paired with either a snuggly bear or a bottle of wine, starting at Php 1,050nett. 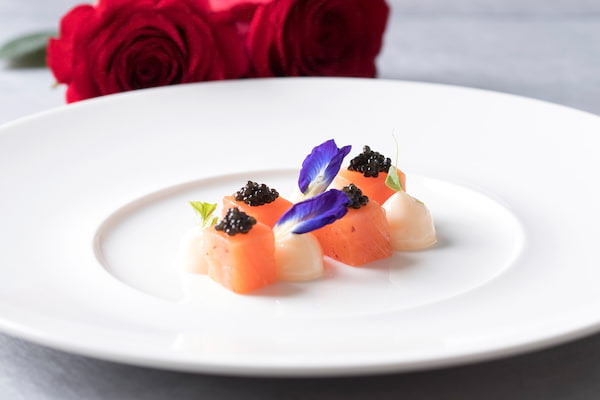 Xin Tian Di: Xin Tian Di restaurant celebrates Valentine’s Day with a set menu that starts with Steamed Nobashi Shrimp Dumpling Topped with Black Caviar followed by King Scallop with Dragon Fruit in Honey Calamansi Dressing. What follows is the Double Boiled Baby Pork Rib with Abalone & Wolfberry Soup and the evening’s entrée - Stewed US Boneless Beef Rib in Barbeque Sauce and the Pan Fried Seabass in Japanese Sesame Soya Sauce served with Wok Fried Hand Made Polonchoy Noodle with Garlic & Olive Oil. The Oven Baked Egg Tart Topped with Birds Nest for dessert is complemented by the dinner’s traditional tea, Rose Honey Ginger Tea. 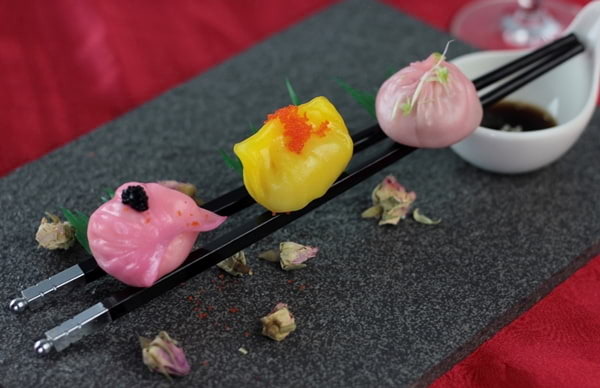 The Xin Tian Di Valentine’s Day set menu is offered at Php 2,860 nett per person.